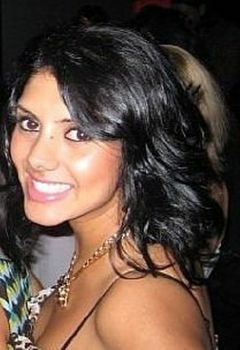 Amrita is a former Art Gallery owner, a world traveler and the Head of Marketing for CrowdRiff. Salim Naran and I have been friends for over 3 decades. After years of building technology solutions for companies in various industries, Salim Naran is now the co-founder and CTO of Canadian fintech startup, Borrowell. The following article was originally posted on Girth Radio. Adam Mintz is the founder, President and CEO of Toronto-based apparel company, Athletes Collective. In this episode we chat about Adam’s foray into entrepreneurship, his background in fashion, why he has always wanted to own his own business, how Athletes Collective began, his failed Kickstarter campaign and how he rose from the ashes to build an advisory board and obtain some seed money. Earlier this week itbusiness published an interview I did with Kiwi Wearable Technologies CEO, Ali Nawab. You can read the full article at Toronto-based startup launches first “smart” accessory. In honour of Canada’s Vancouver Canucks making it into the Stanley Cup Finals, I thought we’d take the opportunity to highlight one of Vancouver’s stars: Sonia Ryan. Sonia Ryan is the Troublemaker at A Thinking Ape. Her vision for ATA is to be THE company recognized by developers as the place to work. Often described as the “Social Glue” she is dedicated to creating an inspiring experience through creative and experimental initiatives. Prior to ATA, Sonia worked at Bootup and was responsible for organizing monthly mentor visits and workshop, Demo Days, Democamps and Launch Party for the Vancouver startup scene. Sonia can always be found with her iPhone and a smile that doesn’t quit. My team. I am working at A Thinking Ape and my teams dedication and drive to complete tasks is impeccable. We are all working together to create a solid technology company here in Vancouver and it’s really exciting. Work at a startup. If you are intrinsically motivated this experience is invaluable because you have an opportunity to understand all aspects of the business. The tablet was one of the most anticipated gadgets of the year, whether it be the android tablet or highly covetable iPad. We saw these tablets turn into e-readers for our digital books, newspapers, and magazines, and Web TV. Geolocation was also huge and I’m talking beyond Foursquare and Gowalla. The creation of Geo APIs from companies such as Facebook and Simple Geo changed the game by adding rich layers of geo-related data to all sorts of apps. Mobile Social Photo apps continue to increase in popularity and I don’t see this slowing down. We have Path, Instagram, Color, Twitpic and I’m excited to see what other innovations occur in this space over the next year. Also, with Amazon and Google’s recent foray into streaming music it should be interesting to see how Apple and the major record labels will respond. It’s hard for me to pinpoint one person in particular. Being in Vancouver, I will name a few key people I admire: Maura Rodgers, Danny Robinson, my Founders at A Thinking Ape – Kenshi Arasaki, Wilkins Chung, Eric Diep, Ryan Holmes and Boris Mann. I named these individuals because they have been an integral part of my life after joining a startup. I look to them for mentorship, feedback and know that they will always be there for me.